Suppose you are returning home after a long day at work. To your utmost dismay, the lock of the house has been tampered with, and when you step in, you find everything has been moved around. Many of your valuables are missing, and your prized possessions are gone. Even the walls of your house have been defaced. All this mishap could have been avoided if you had not compromised on the security lock of your house, or you had installed surveillance cameras to keep trespassers at bay. What if a similar kind of incident happens to your website? Your website can also be hacked, defaced, blocked or suspended when you leave it unprotected. Through these unprotected websites, hackers can receive/send spam emails by hacking into your account. They can even steal your private information or conceal their private data through your website. So, protecting your website from hackers or any unwarranted solicitation is of utmost importance. There can be a number of issues that can derail your websites such as software bugs and external hacking attempts. This can be prevented if you are well prepared for the common security issues that you may come across. 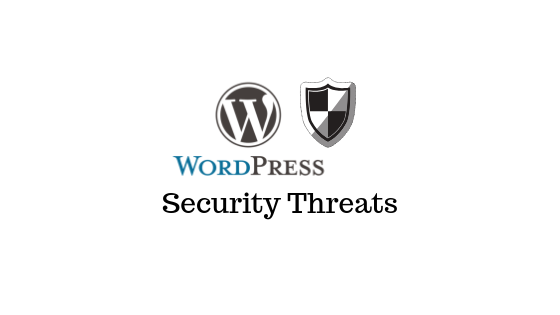 That is why; WordPress is bringing you a list of common security threats for your website and also the ways to tackle them. Websites require regular maintenance, and for someone who manages multiple websites, this can be tedious. Some people think that hackers do not target small websites. They fail to understand hackers prefer that small website as they may have many security loopholes which make hacking much easier. Another important reason that websites are not kept up to date is fear of incompatibility. There are chances that your WordPress website may break if you update the WordPress Core or Add-Ons such as themes, plug-ins and widgets. 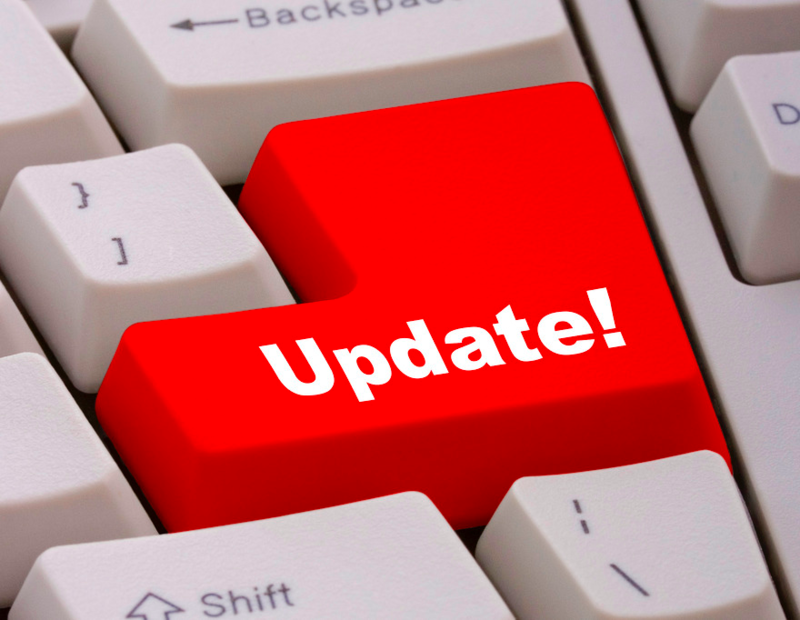 Generally, there are two types of Core updates – Major WordPress versions like 5.0 that add new features to the software, Minor releases such as 5.0.1 which are fixes to the maintenance and security issues. 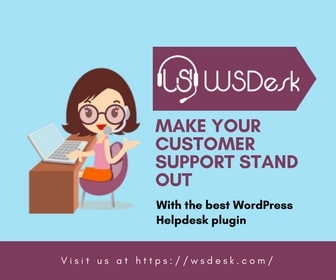 Even the minor updates can cause disruptions to your website if some plug-ins and themes are not compatible with WordPress update. So, it is important to have a staging version of your website where you can apply all the updates and test for compatibility before applying to the live site. 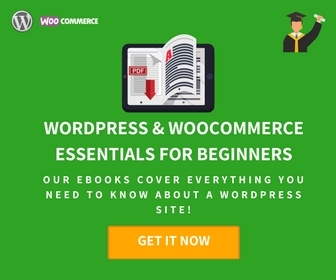 WordPress Add-ons such as themes and plug-ins add important functionality to your website. But, if they are not chosen carefully, they can make your site vulnerable to hackers and can cause your site to be blocked by search engines. 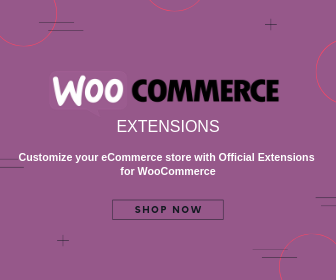 Therefore taking the following measures will surely help in choosing secure Add-ons that offer good features and functionality for your websites. Choose your themes and plug-ins from reputed sources such as the official WordPress plugin repository. Avoid purchasing Add-ons from obscure websites that offer huge discounts as they can compromise the security of your website. Choose the WordPress Add-ons that have been around a long time and those with genuine reviews and ratings. 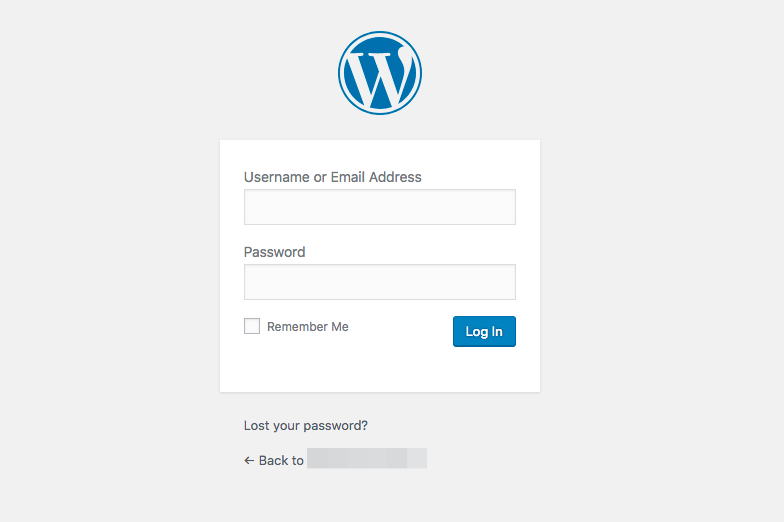 The WordPress admin login page gives you admin control over the website and hence is targeted by the hackers most. 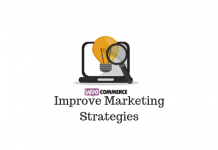 You should avoid following common mistakes with regards to the site login. Avoid using weak, common and default usernames/passwords such as admin, password123 etc. Multiple people can contribute to your website, and WordPress allows you to define user roles and control access that each user has. There are 5 user roles that you can choose from and assign to each user based on their contribution – Admin, Editor, Author, Contributor and Subscriber. Here Admin has ultimate control over the website and must be granted to only the most trusted users. All other users will fall in the rest of the categories. Over time, you would have tried many plug-ins and themes in search of the right one. Simply disabling the ones that you do not need can pose a security risk. Outdated and unwanted themes and plug-ins must be uninstalled, and accounts of old, inactive users should also be deleted. A firewall is an important component of website security and is the first line of defence against malicious attacks. Various types of suspicious activity daily threaten over 70% of WordPress websites. There can be three types of WordPress firewall – plugin based, cloud-based or host-based and each of them offers a different level of protection. You can choose the right type of firewall based on your requirement. When you obtain a website, you will be given a choice regarding the degree of security. The most commonly offered plans are Managed hosting and Shared hosting. While shared hosting is inexpensive, managed hosting gives you more security and performance. Shared hosting is subject to the risks that any other website that is hosted on the shared server. If one website is compromised, then it can affect all the other websites on the server. Besides, there are other limitations such as software restrictions, limited technical support etc. Shared hosting is beginners, and as your site traffic increases, you should consider moving to managed hosting where you will get a dedicated server and advanced support. More than 18 million websites are hacked every day, and Google blocks many of them as a result of suspicious activity. 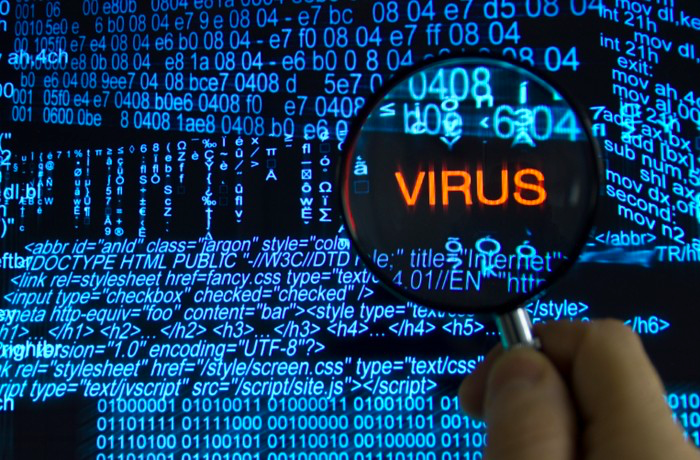 It is important to frequently scan your website for malware with a good security scanner. There are some security plug-ins that you can use for scanning, but they suffer from several shortcomings. These plug-ins use pattern and keyword matching and often fail to identify new malware. MalCare is excellent WordPress Security Service as well as a scanning software that does not rely on these methods to identify malware, does it’s processing on its servers without affecting the performance of your website. Ideally, a WordPress backup plugin should backup all parts of the website including settings and configurations. There should be multiple versions to be stored in multiple locations. E-Commerce sites require real-time backups. A good backup solution also should give you easy access to restore from your backup with the click of a button. A good security plug-in like MalCare will help prevent users from doing unsafe activities such as the installation of themes/plug-ins, PHP execution in untrusted folders etc. You can bring safe practices for handling data by avoiding the above-listed, widely committed mistakes by the WordPress website owners. It will make your website secure and prevent hackers from stealing your data.